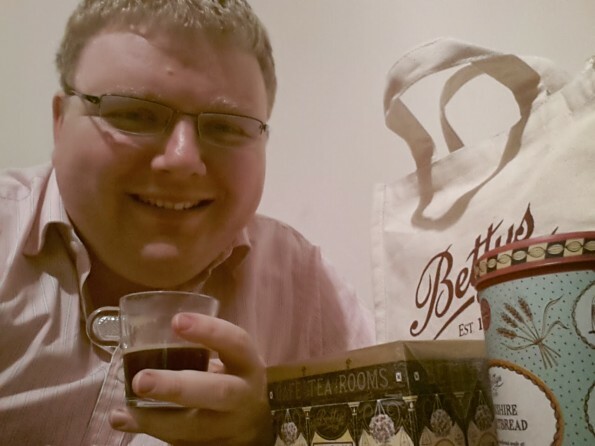 Today, I was given a Betty’s gift-bag as a prize in a work-related competition, and had to submit a selfie showing me and the prize to prove that I’d received it! Unfortunately, Wendy is on call tonight, so I didn’t have her stylistic advice and supervision… I hope it’s turned out okay! This 2,210th post was filed under: Photo-a-day 2014, Scrapbook.